Happy 2019! 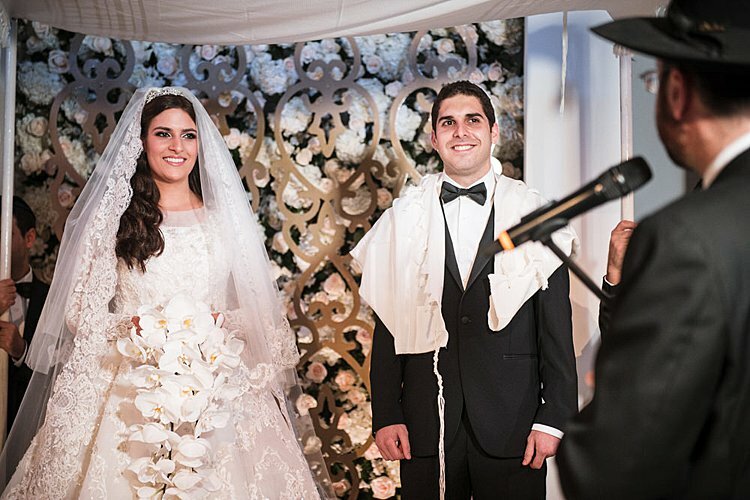 And if you are newly engaged, Mazal Tov – we’re so happy to have you, and to be a part of your wedding planning journey. If you’re new to all of this and feeling a little overwhelmed, do check out all our resources, from our archive of thousands of beautiful real weddings (from shoestring budget to super luxe) to our recommended vendor directory to our private, members-only Brides Club. 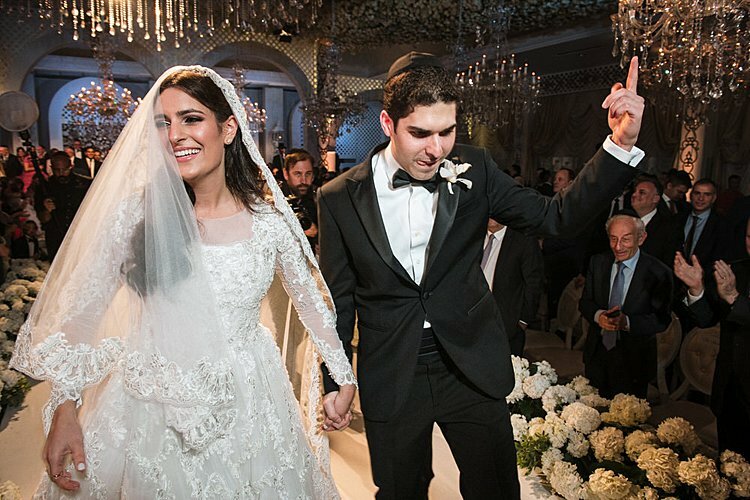 So on to our first real wedding of 2019… just give us a minute to pick our jaws up off the floor, because the truly epic florals at Diana and Sonny’s mega-luxe Jewish wedding are unlike any we’ve seen before. 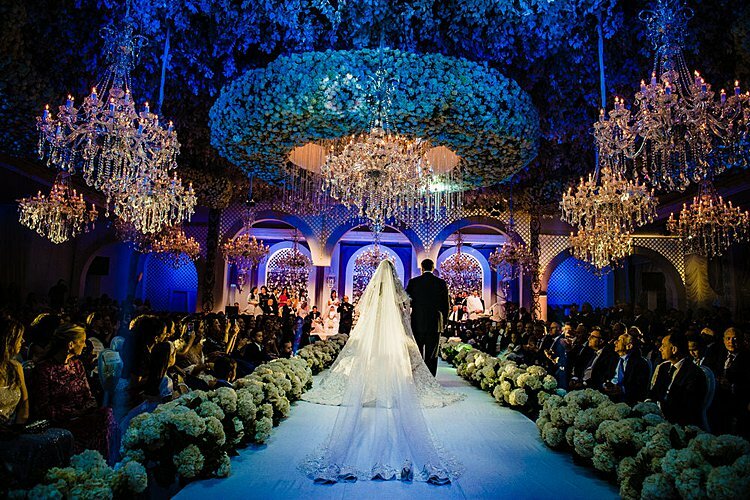 Between the amazing hanging flowers (and chandeliers! 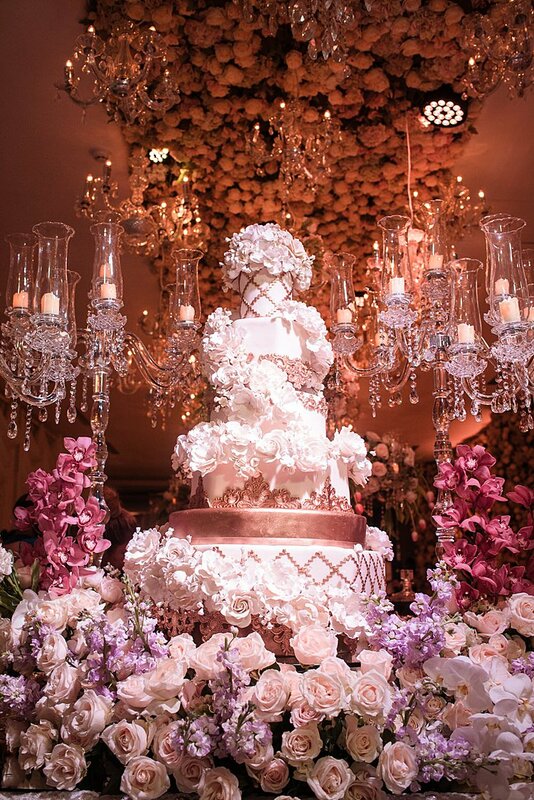 ), the white blossoms lining the aisle, the rose-studded backdrop walls and the abundant tabletop arrangements, it’s hard to believe these two didn’t wed in the midst of the Chelsea Flower Show. Every one of Ruben Parra’s masterful shots is a testament to the lush fantasyland Carlos Mastellari created within the halls of the Hebrew Club of Panama City (where the bride’s parents AND grandparents married — isn’t that lovely?). And then there’s the chuppah. 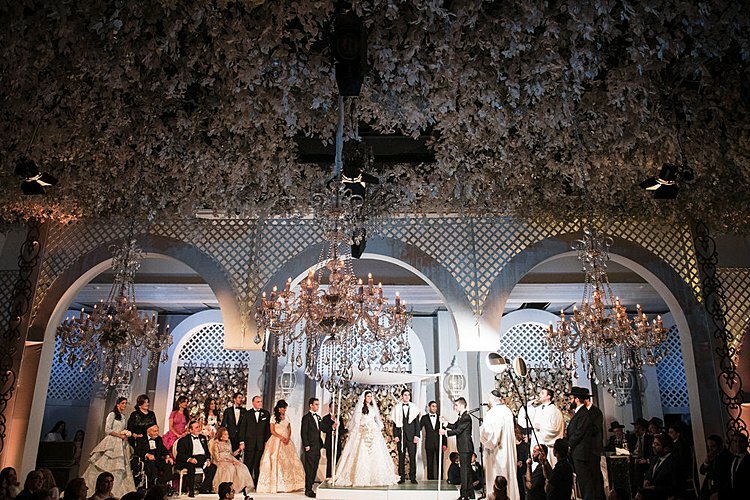 It’s got a super distinctive architecturally inspired design, full of columns and arches (and flowers, obvi), ingeniously set up with enough room on each side to accommodate the couple’s families, who stood under the marriage canopy together with them. We love that the couple were equally as attentive to the spiritual side of their wedding as they were to the gorgeous dà©cor, too. When Diana made her entrance at the start of the ceremony, she paused to share a blessing for her guests, and prayer was a key part of her pre-wedding prep routine. Diana, the bride: The wedding took place at the Hebrew Club of Panama City, Panama, because of community and family tradition – my grandparents, parents, and other relatives also wed there!